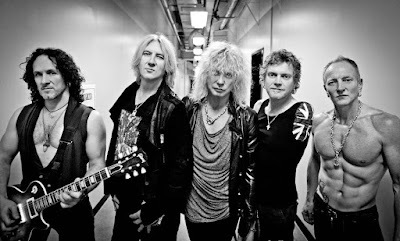 Def Leppard are sharing a video preview of the US broadcast premiere of their recently-released concert DVD, “And There Will Be A Next Time - Live From Detroit”, on AXS-TV this weekend. Part of the media outlet’s new Sunday Night Rocks series, the project captures the group in concert at the DTE Energy Music Theatre in Clarkston, MI on last summer’s tour of North America. “And There Will Be A Next Time” recently toppled The Beatles’ “Eight Days A Week” to debut at No. 1 on the US Billboard Music Video Sales chart while also claiming top spot in Canada and France alongside Top 10 showings in the UK, Ireland, Germany Spain and Portugal. “Thank you to all of our fans around the world for supporting our latest DVD release,” says the band. “And There Will Be A Next Time - Live From Detroit” will premiere on AXS TV on Sunday, April 23 at 10 pm ET / 7 pm PT. 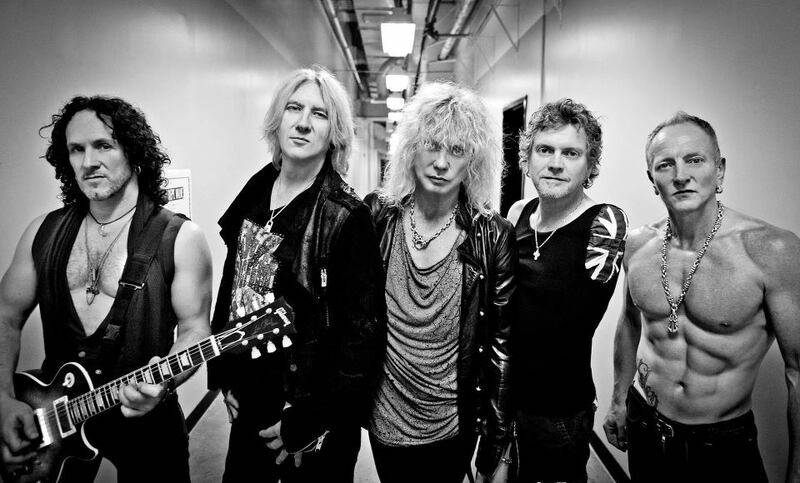 Def Leppard just kicked off a three-month spring tour of North America with Poison and Tesla.